Enough food to feed a hungry crew... You get 1/2 Rack Ribs, 1/2 Chicken, 1/2 lb. Brisket, 12 Wings (your choice of hot, fried, bbq, honey bbq or honey fried ), 4 Small Side Dishes, Bread or Corn Bread. Order a few for your office. Mix and match lunch options. Easy lunch or dinner for two. 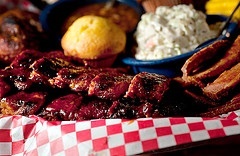 This sampler comes with 4 ribs, 2 drumsticks, a large garden salad, 6 wings, your choice, and 2 of our home made sides. Served All Day. Includes Any Sandwich, Any (3) Wings, Snack Potato Salad, and a Soda. For a quick snack on the go, or a traditional Monday fav, grab these hot whole wings with a warm bowl of Louisianna style red beans and rice. Ooh Wee! 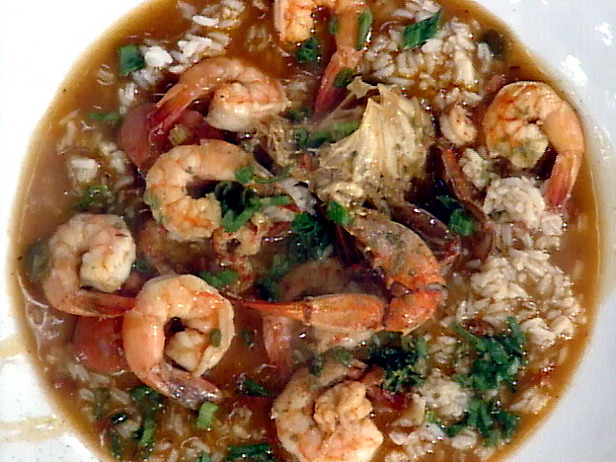 Seafood Gumbo loaded down with crab, sausage, chicken in a rich and thick roux over a bed of rice. A perfect portion for one of this mix of crab, shrimp, chicken and sausage over a bed of rice. Enjoy the savory taste of pure comfort. Three pieces of tender chicken braised in gravy, served with two side dishes. Enjoy a smothered southern style pork chop with lots of gravy on top. This delicious dinner comes with your choice of 2 side dishes. Everyone loves oxtails where the meat just falls off the bone in a savory gravy. We serve this awesome dinner on a bed of rice with your choice of 2 side dishes.